Cathedral Facade Design – StoneHouse Creative, Inc. 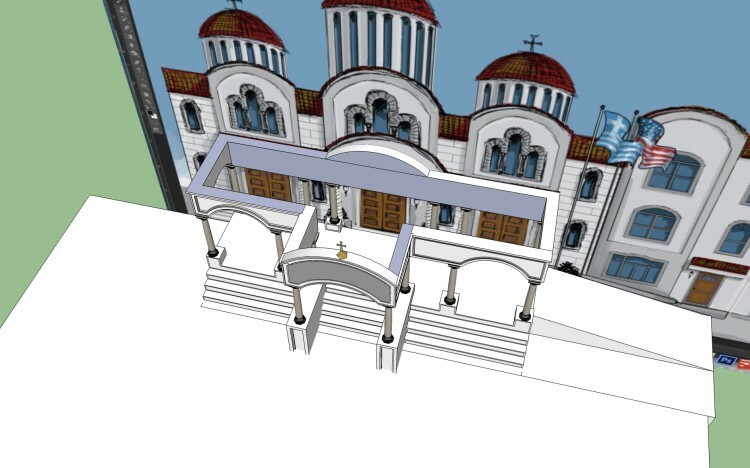 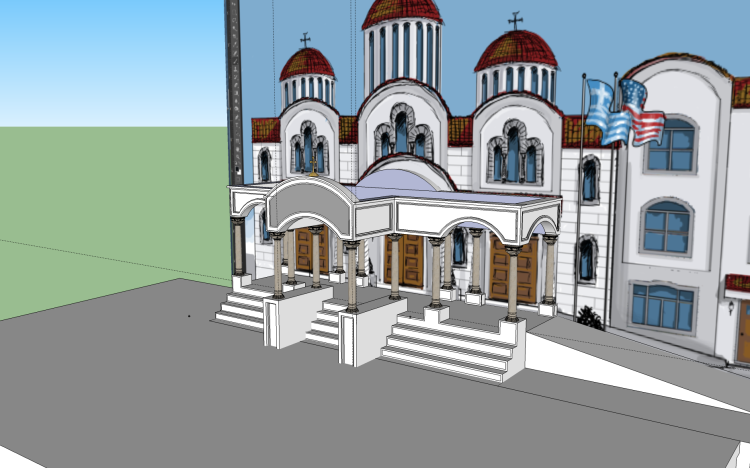 This was an exploration of proposed looks for the facade of a Greek Orthodox Cathedral in NYC. 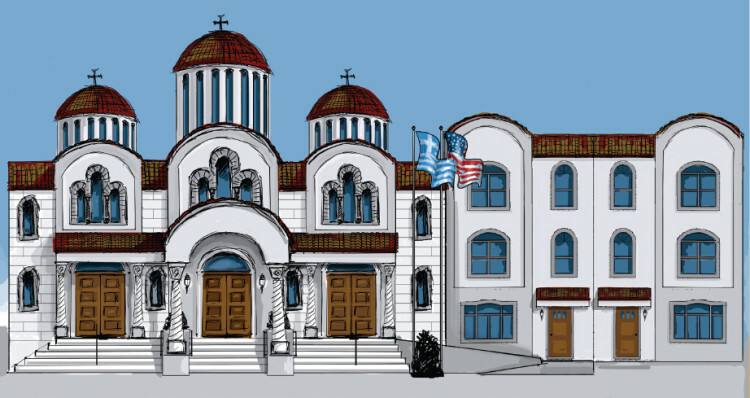 The project initially stemmed from the designing of a covered portico that could tie into the existing look of the building. 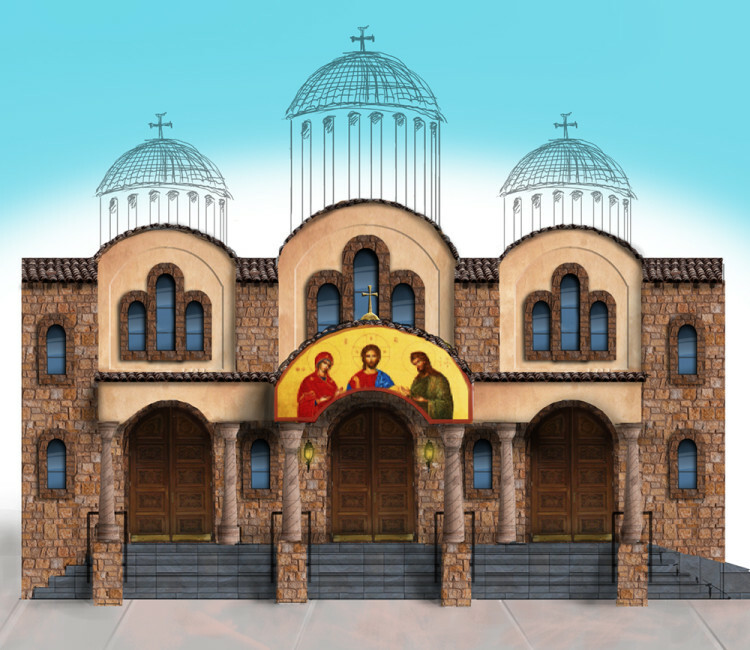 Services were expanded to explore the entire facade remodeling as well as the designing of 2 adjacent buildings belonging to the complex in an overall unifying look.